Saw Gravity on the weekend and it was almost as good as the hype made it out to be. Glad I saw it in 3D because that stuff was INTENSE. In other news I have no cravings to see space. I’m good down here thanks. My lips are super dry thanks to this change in seasons. I have like ten different chapsticks and none seem to be helping. Also my Lush lip scrub dried up and I have no good quality oil to add to it. Life could be worse. Also! I went into Lush yesterday and got their Full of Grace facial serum and although it wasn’t cheap so far I am loving it! I did way too much baking on Thursday night and I think I am stil catching up on sleep. I need to stop volunteering for everything, its getting a bit ridiculous. Everyone at work hates that “What does the fox say” song but I kind of love it (any song about foxes is my kind of song) and enjoy getting it stuck in their heads whenever possible. I’m annoying. People should not give me iPod chargers. We don’t go well together and they end up broken in the strangest ways. I don’t even know how many I have now destroyed. I still don’t really get Snapchat but slowly using it more and more. I need to cancel my SampleBar but I also want to use my Glam points (I have quite a lot) and as soon as you cancel you lose them. I should just buy something random so I can end this relationship and buy a Mac lipstick instead. Last weekend we went to the zoo and Edd took some amazing photos. I’m not jealous, just angry that he is so much better than me (but not really cause this way he can be stuck behind the camera while I do other things). Stunning right? 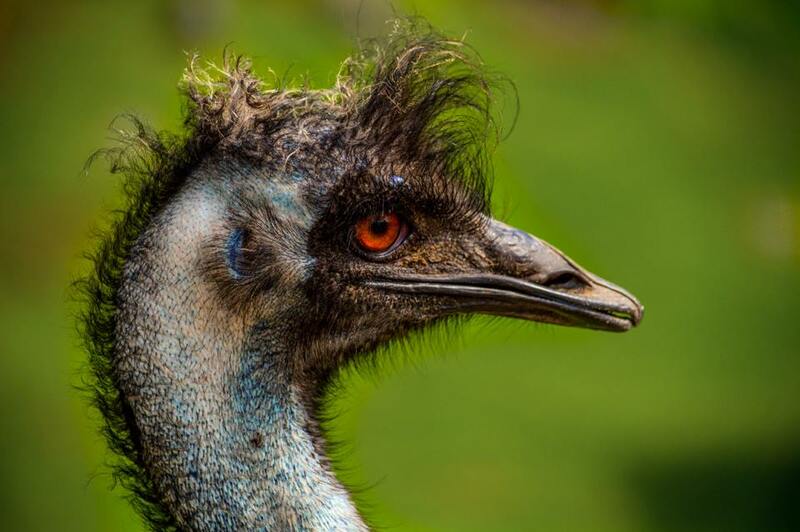 And I never thought Emus were that pretty….